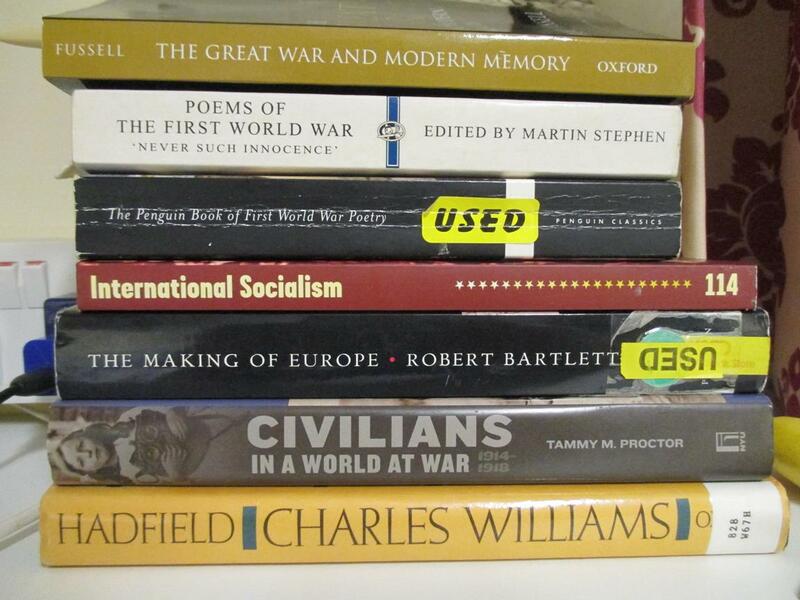 I’ve managed to pick up some books more in line with my historical interests! Since I last wrote, I’ve settled into Oxford fairly well. After the first week of orienting, exploring, and adjusting to the time change, this past week has been comparably quiet. That’s not to say, however, that it has been dull or sedentary. 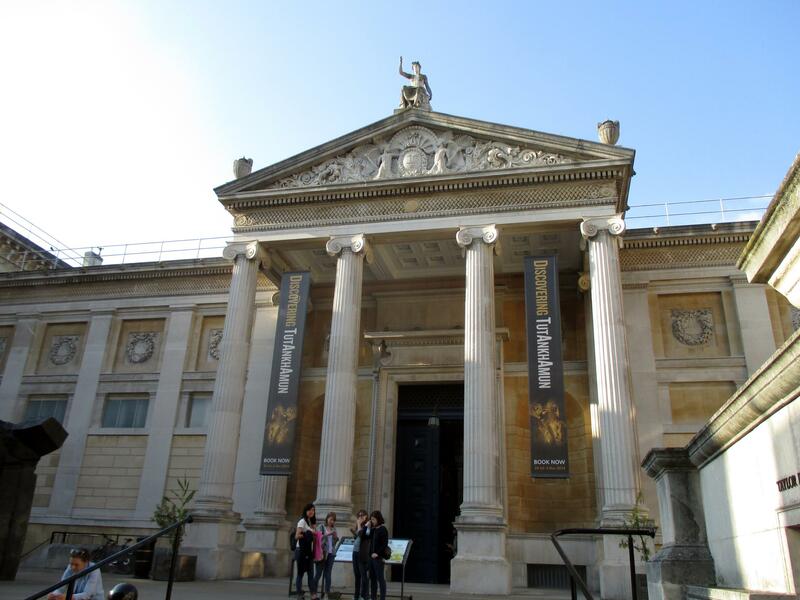 Since last Monday (8 September), I’ve seen the Ashmolean Museum, the Bate Collection of Musical Instruments housed at Christ Church, (and speaking of) Christ Church – both the college grounds and the evensong service – the Museum of the History of Science, Magdalen College, Rhodes House, and the cathedrals of Wells and Glastonbury. 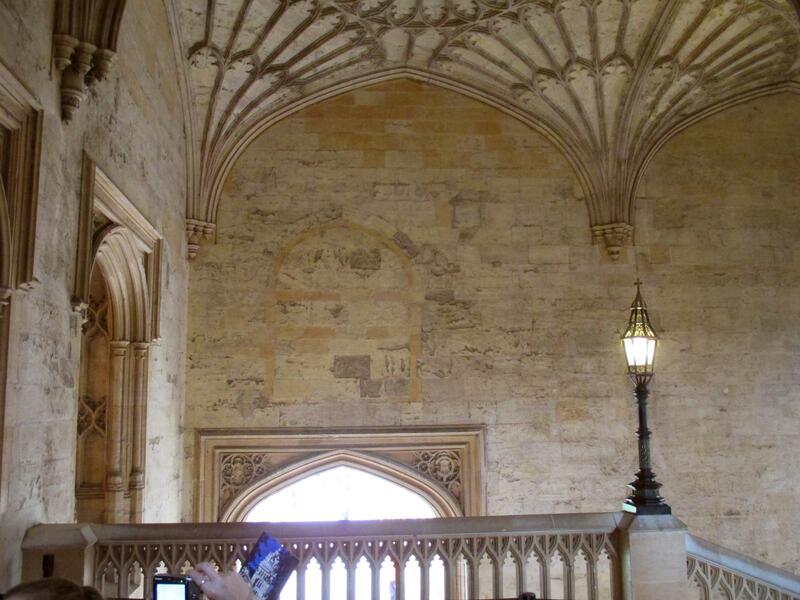 And that doesn’t include the academic portion of the week, most of which was spent either in the Radcliffe Camera or the two levels of underground shelving known as the Gladstone Link which runs between the Camera and the Old Schools quad portions of the Bodleian. At the end of last weekend, Oxford hosted the St. Giles fair. 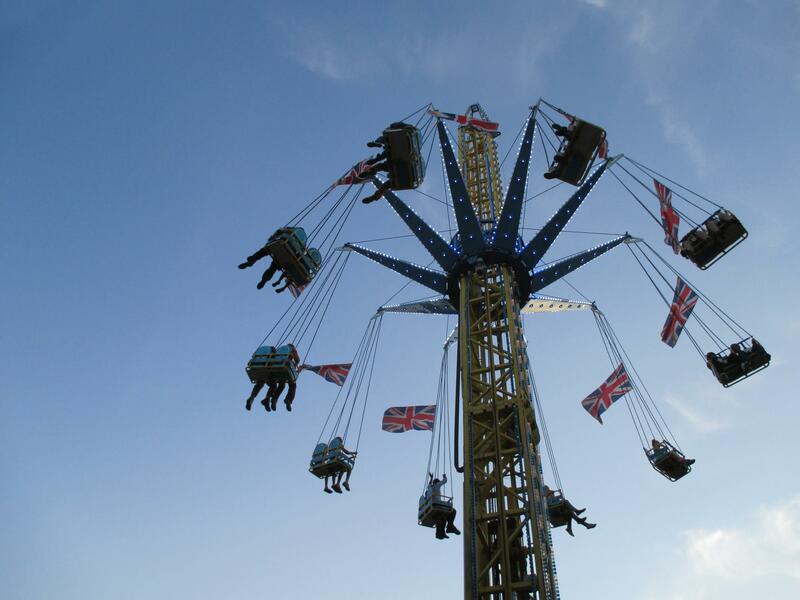 Known locally as the last gasp of the town portion of the town and gown construct, St. Giles fair signals the end of summer and the turn toward preparing for the arrival of Oxford’s undergraduate population. Of course, that’s still a few weeks away, but there has been a distinct shift in the town’s air; more taut, and ever-busier. The fair is set up on the north end of the north-south thoroughfare running through Oxford. That street – known variously (south to north) as St. Aldates, Cornmarket, and St. Giles – splits in two towards the north end of the town, winding northwest as the Woodstock and northeast as the Banbury roads. The fair occupies the upper third of the road, above Cornmarket and below the fork. The entire street is shut down and filled with rides, food, and games. While I didn’t participate, I did walk up and down once to get the feeling of the event. Among other things, the collection houses the Messiah Stradivarius violin, a wall of Peter Paul Rubens paintings, Guy Fawkes’ lantern from the 1605 gunpowder plot, an Oliver Cromwell death mask, Michelangelo, da Vinci, and Raphael paintings, and the Anglo-Saxon Alfred Jewel, most of which I don’t have photos of. The collection was quite overwhelming and I preferred to look without needing to document. 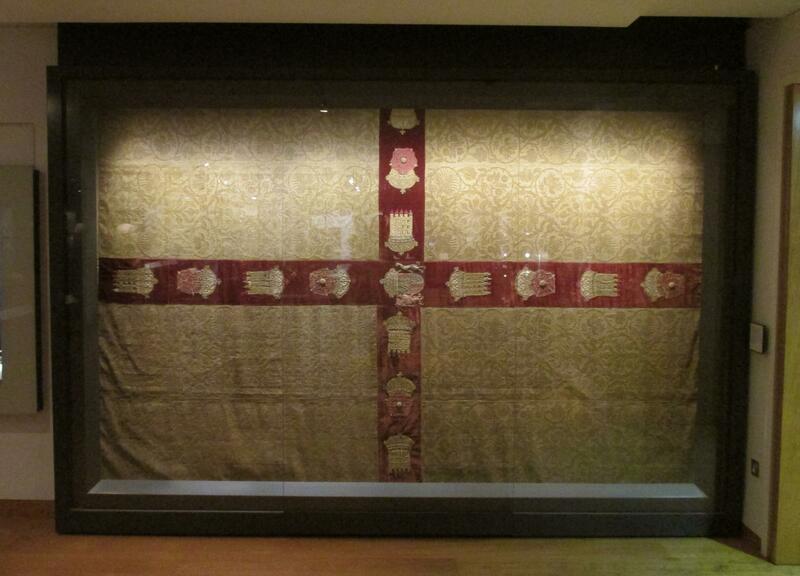 One item of particular interest is an English flag which was used to drape the funeral casket of (if I remember correctly) Charles II. 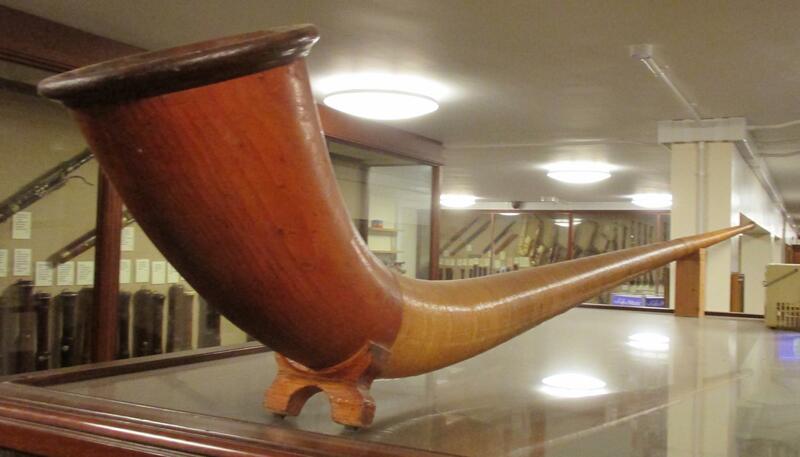 On Wednesday, I and two friends visited the Bate Collection of Musical Instruments housed at Christ Church. It’s not a museum so much as it’s a collection of small rooms stuffed with every type of western instrument from the past thousand years. By my estimation, the collection houses about sixty bassoons, one hundred flutes, eighty oboes, forty clarinets, two dozen keyboard instruments, thirty each of trumpets, cornets, trombones, and horns, ten tubas, nearly one hundred types of percussion, and about thirty different stringed instruments ranging from renaissance guitars to viola da gambas to lutes to modern celli. Thursday, we went to the Museum of the History of Science. I didn’t take pictures and wasn’t very engaged; I’d come down with the cold that has been circulating through the programme. By the evening, I was feeling well enough to venture out a little. And so a group from CMRS attended the Christ Church evensong service. It’s a beautiful cathedral and the service was likewise beautiful, sung by cloisters from the college and (I think) boys from the Magdalen College School. The homily was somewhat unnerving; the rector spoke on the world situation and the need for peace. Surrounded by flags dedicated to the dead of 1914-18 (not to mention those killed in wars stretching back to the English Civil War when Charles I held court at the cathedral), the clergy’s words managed to bridge the distance between the present and the past. Never before have I so felt in direct continuity with (especially) the past century’s European crash of ruin than in that church as the rector spoke about the Ukraine and the near East. The next day a group from the program returned to Christ Church for a tour of the college, led by the senior tutor, Bernard Gowers (Gowers took his D.Phil from Christ Church). Entering through the ‘Venician gothic’ side of the college which overlooks the Christ Church Meadows (mentioned in a previous post; a Venician style was deemed appropriate for this side of the college because the meadows are flooded in the winter, evoking that Italian city), we first saw the cloister – the site of a 7th century religious community founded by St. Frideswide. Moving through the other rooms of the college, we saw the dining hall (allegedly the second largest in Oxford; Keble’s architects were said to have measured Christ Church and designed the 19th century college’s hall to be a single yard longer), the stairs (site of Harry Potter filming), and the cathedral. Christ Church is unique in that respect, as the site of both a cathedral and a school. The explanation rests in sixteenth-century political machinations between the Cardinal Thomas Wolsey and Henry VIII. Wolsey, a commoner who through education had managed to rise through the ecclesial ranks to become a Cardinal, annexed the lands of the Augustinian monastery which had occupied the site since Frideswide’s life. Seeking to establish a grand college as a monument to himself, Wolsey founded Cardinal’s College on the site. 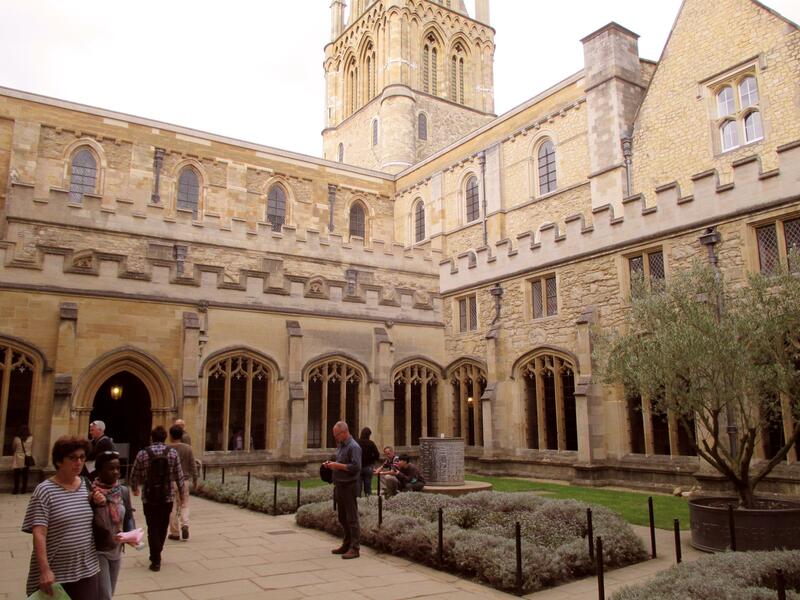 The cloister of Christ Church. This was an 8th century graveyard. Yet Wolsey ran into trouble. After embarking on an ambitious building campaign, Wolsey and the King had a falling out and Wolsey was forced to flee the country. Ever the modest man, Henry repossessed the college and refounded it as King Henry the Eighth College. Christ Church Cathedral crossing tower. In 1546, when Henry broke from Rome, he was tasked with creating the new diocean map for England. 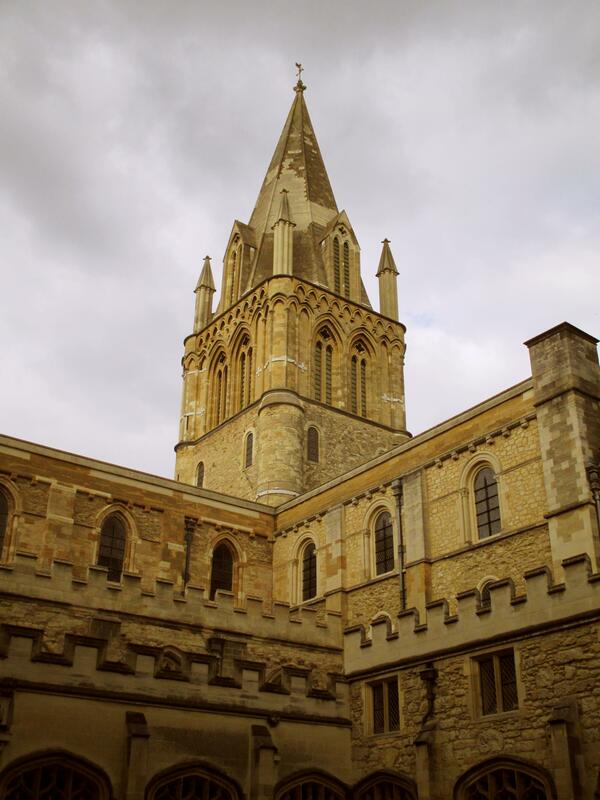 In an effort to save money, Henry renamed the college Christ Church and established its chapel as the cathedral for Oxfordshire. Thus was born Christ Church’s dual identity as a college intimately linked with royal prerogative and ecclesial power. It’s no wonder then, that when Elizabeth I came to the throne, faced with the lingering tinge of illegitimacy (she was twice cursed: as a woman, and as the product of a union which many people suspected was illicit), she sought to link herself firmly with the college; as a site inseparably linked with her father, Christ Church would serve to firmly link the new queen with Henry’s legacy, thus sealing her legitimacy on the throne. Indeed, when Elizabeth came to Oxford, she chose Christ Church’s Tom Quad as the location for her reception. Accordingly, the college’s porters cut a portion out of a wall and built a wooden platform for her to stand upon and greet the town of Oxford. It’s since been bricked back up, but the outlines of Elizabeth’s vantage point are still visible today. 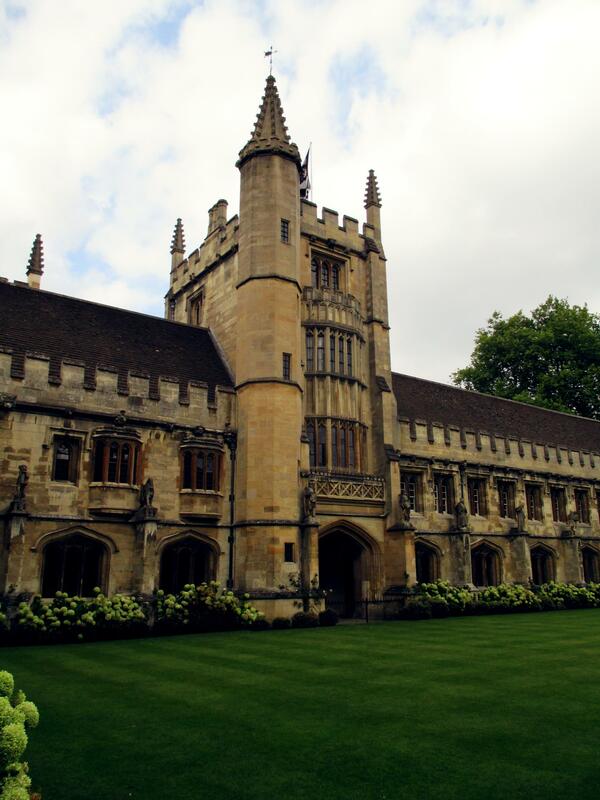 Since then, Christ Church has been one of the most aristocratic of the colleges, catering to Britain’s young gentlemen (women were accepted to the college in 1978). 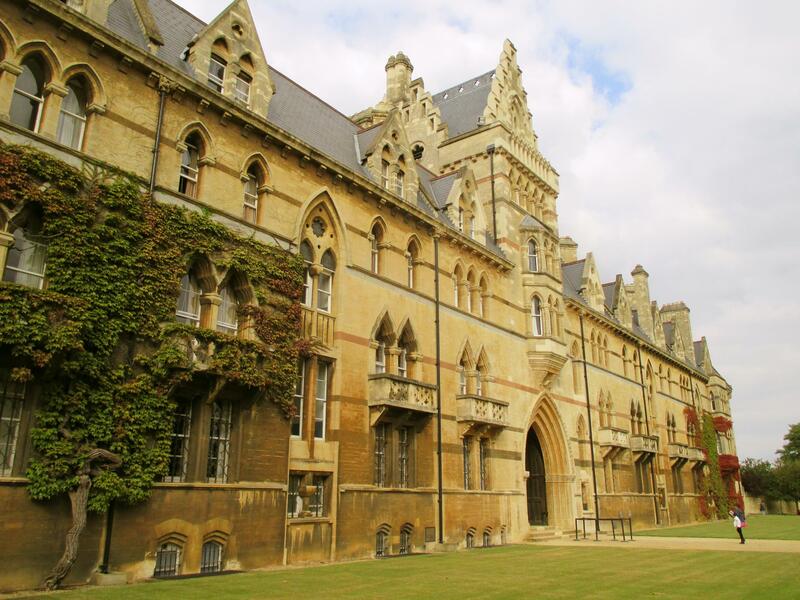 The college has produced thirteen prime ministers, more than any other of Oxford’s colleges and two shy of the entire University of Cambridge (the other school). Saturday, Bekah and I ventured across the river Cherwell to a little vintage clothing store called the Ball Room. But on the way, we stopped at the University Church of St. Mary the Virgin across from the Bodliean, and then Magdalen (pro. 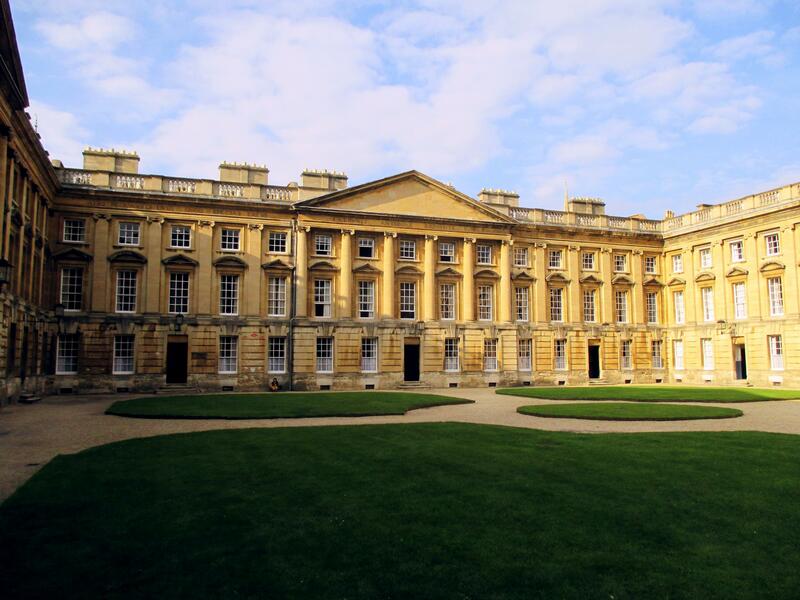 Maud-lin) College for free, courtesy of Oxford Open Doors, a weekend when all admission fees are waived. 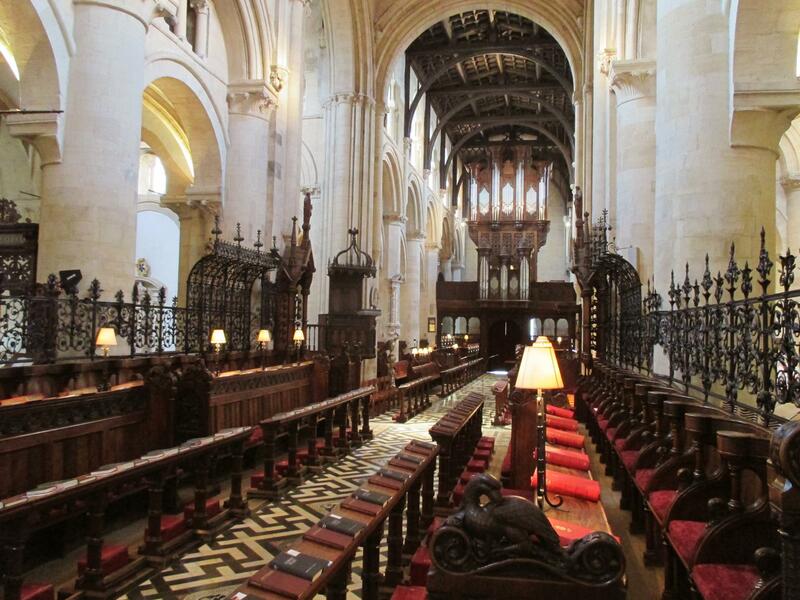 Magdalen is by far the most beautiful college I’ve seen yet (out of about a dozen). 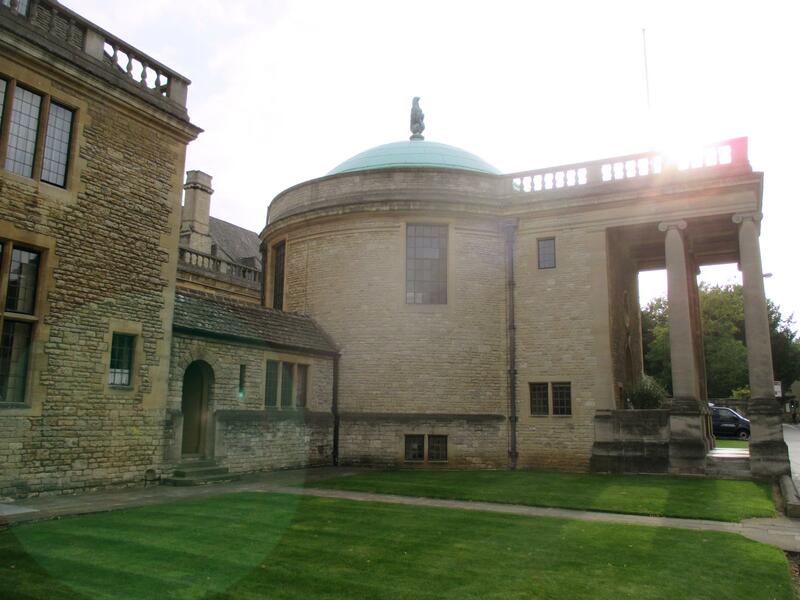 Situated at the east end of the city centre on the banks of the river Cherwell, the college was founded in 1458. To the east, the school is bordered by the Deer Park (it’s aptly named, with about one hundred Fallow Deer gamboling about) and the Addison Walk. During the English Civil Wars of the seventeenth century, the Deer Park was used to billet soldiers. There’s something simple and direct about the architecture. It’s fairly standard Gothic fare, but the gardeners have done an exemplary job of integrating natural life into and around the buildings. The photos make this fairly apparent. After the shop, we walked past Rhodes House at the northeast corner of Oxford (I’ve been working on my Rhodes application with increasing interest). It’s an imposing structure, a quality the application mirrors. Yet the process has sparked some of my most reflective thinking on who I am and where I want to be – a valuable end in itself. A (near) sartorial encounter. It’s unclear whether much tailoring happens on Savile Road, Oxford. 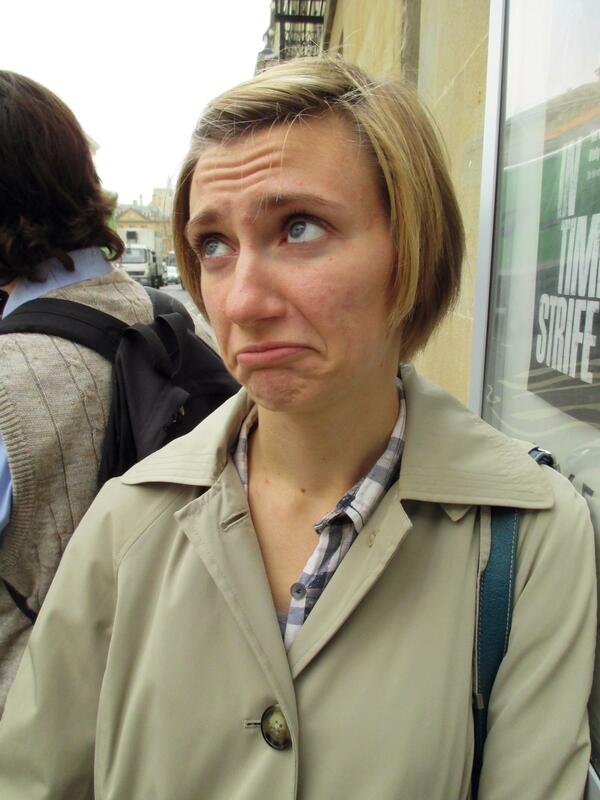 Bekah is sad the bus is late. After a Sunday and Monday spent mostly working, the entire programme departed early on Tuesday for Wells and Glastonbury, the site of England’s most beautiful cathedral and of England’s (former) largest cathedral, respectively. I saw former because Glastonbury was exposed during the English Reformation and in the intervening centuries has been pulled down largely for stone. It’s little wonder that the surrounding town largely matches the stone type, colour, and texture of the remaining bits of the cathedral. I should also say we attempted to depart early. Due to a mixup with the coach company, we departed over an hour later than planned. Yet after a somewhat harrowing bus ride (the driver seemed intent on handling the coach bus as if it were a morgan roadster), we arrived at Wells. 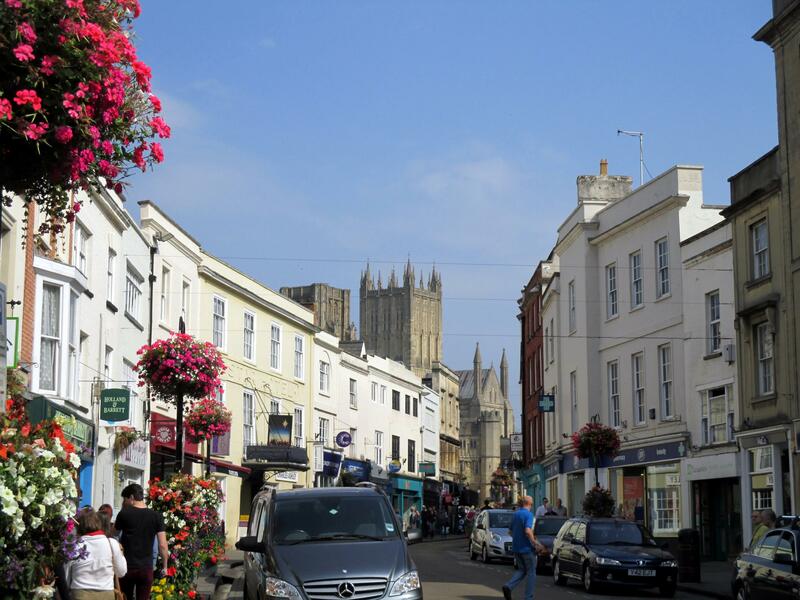 There’s not much to say about Wells except to highlight a couple of its features. First, it’s the only fully-Gothic cathedral in England. All of the others have been remodeled during other periods. It also features a somewhat unique architectural feature. Shortly after its completion, the walls began to pull apart. In an effort to shore up the building, a local architect designed and built what is now known as a serpentine arch. It looks something like an owl’s head and is confined to the immediate region; no other cathedrals adopted the design save for a few other local churches. I’ll let the photos speak for themselves. It’s a beautiful place, and it’s difficult to convey just how massive the structure is. 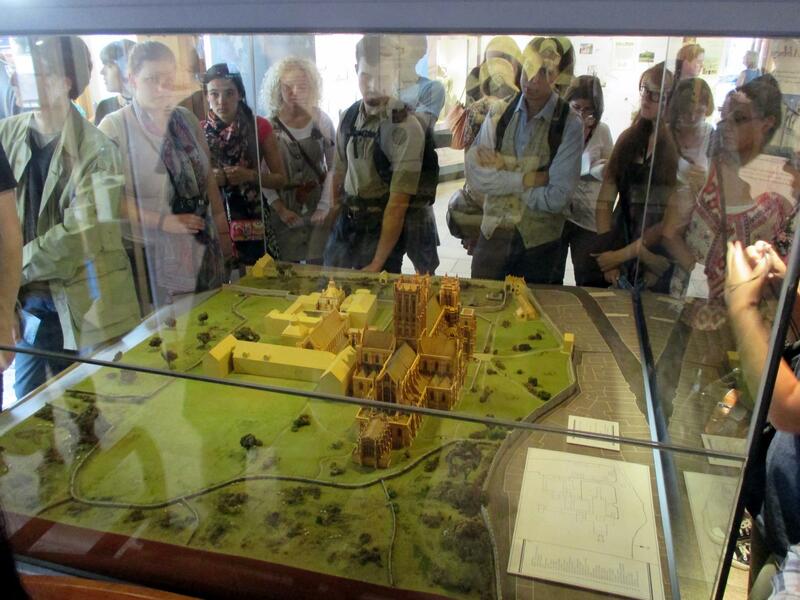 A model of the cathedral in its original splendour. After Wells, we drove the ten miles to Glastonbury to see the ruins. At that location, we were guided by a ’10th century man’ through the church. Aside from being the alleged location of King Arthur’s tomb (a man and woman’s body were discovered in 1191 bearing a cross inscribed, “Here lies Arthur, King of England.”), Glastonbury was substantially larger than Wells – a fact difficult to comprehend from the scattered remains. After the bus ride back, Bekah and I stopped into our favourite pub on a quiet little street for dinner and relaxation. But I don’t think I’ll tell you the name… lest it cease to be quite so quiet and relaxing. 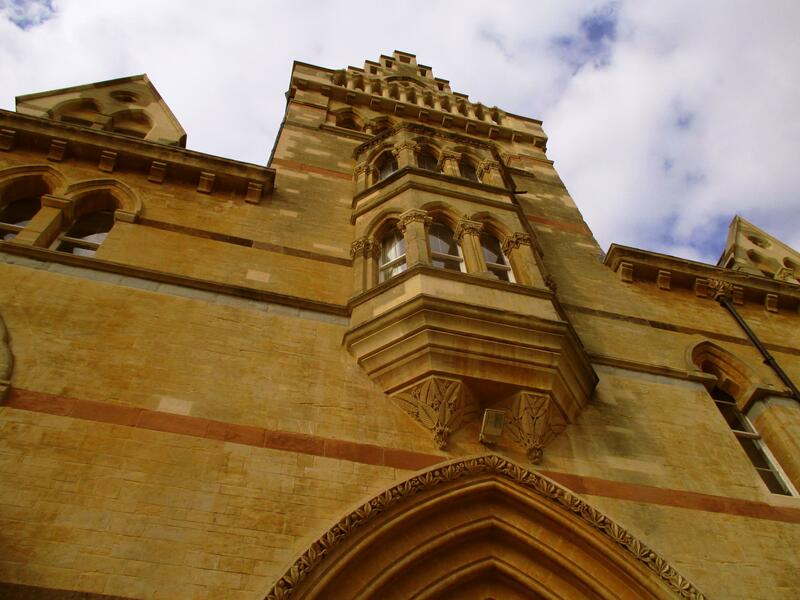 I love reading about your excursions and all the history and architecture of Oxford. It enables me to live vicariously through you and Bekah…what an amazing experience!